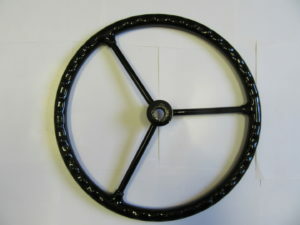 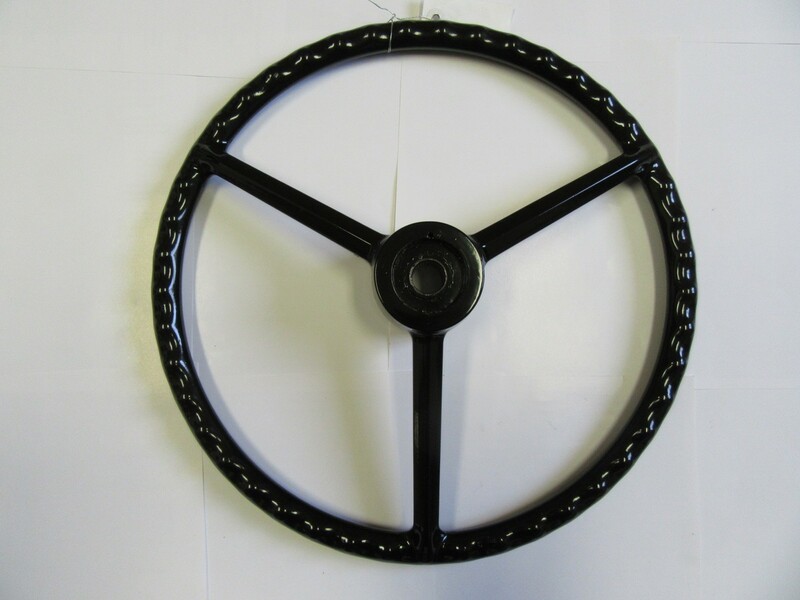 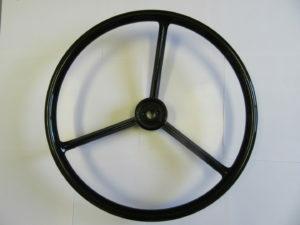 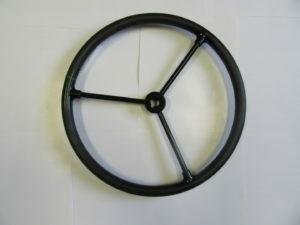 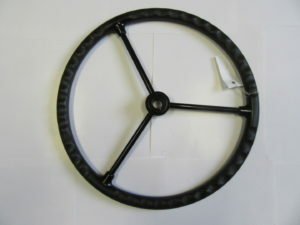 NEW REPRODUCTION JOHN DEERE STEERING WHEEL. 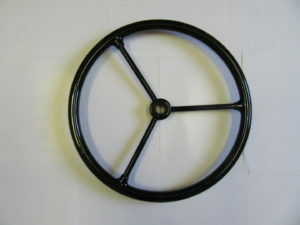 THIS WILL FIT JOHN DEERE MODELS 1010, 2010, 2510, 3010, 3020 UP TO SN#122999, 4010, 4520, 4620, 5010, 5020, 6030, 7020, & 7520 TRACTORS. 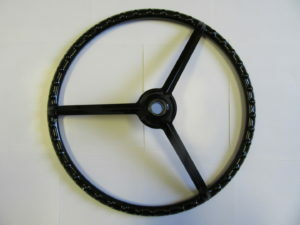 MAKE THAT WILL FIT JOHN DEERE NEW GENERATION TRACTORS THREE HORIZONTAL STEEL SPOKES LIKE ORIGINAL. 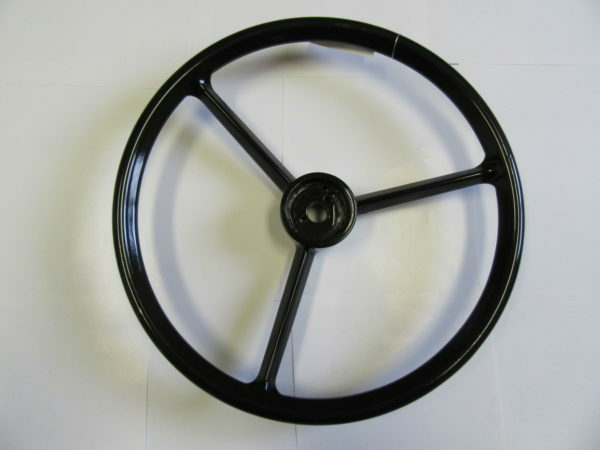 16″ DIAMETER.